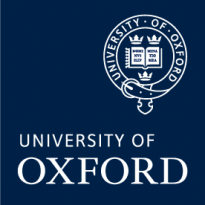 The Department for Continuing Education at the University of Oxford invites applications for a fully-funded scholarship to undertake the part-time MSc in Sustainable Urban Development for October 2017 entry. The MSc is a multi-disciplinary and globally-focused course for high-achieving professionals who will provide vision and leadership for sustainable urban futures (two years part-time from October 2017). It is specially designed to be taken whilst working, with eight intensive teaching weeks in Oxford and London, and a final dissertation project, all fully supported through a web-based learning environment.